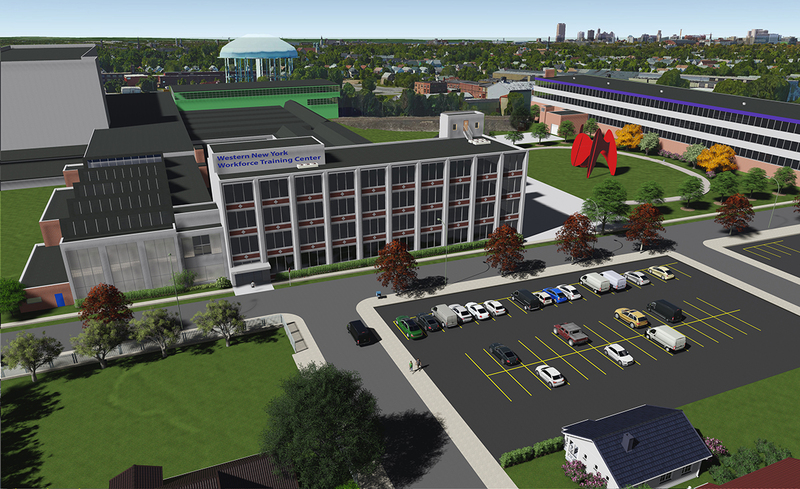 Governor Andrew M. Cuomo today announced the Western New York Workforce Training Center project reached an important milestone to redevelop underutilized property in the Northland Corridor into a new workforce training facility. The City of Buffalo Planning Board approved the project’s site plan after finding that there will be no significant environmental impacts associated with the redevelopment of the entire 35-acre site. Governor Cuomo announced in September 2014 that $6.7 million would go toward the acquisition and site planning of a large swath of long-vacant and underutilized industrial land in the Northland Corridor on Buffalo’s East Side. Empire State Development, the state’s economic development agency, granted Buffalo Urban Development Corporation—the City of Buffalo’s not-for-profit land reclamation and development agency—the funds to purchase the land and redevelop the properties. In July 2015, Governor Cuomo unveiled plans for the Western New York Workforce Training Center, a new hub that will focus primarily on training for careers in the advanced manufacturing and energy sectors. The center will anchor an estimated $44 million business park as part of the Northland Corridor Redevelopment and will ensure a robust and diversified workforce of highly-trained, skilled workers ready to meet the challenges of the 21st century electric utility and advanced manufacturing industries. The project is a partnership between BUDC, ESD, the City of Buffalo, and the New York Power Authority. The project is being funded as a major component of the Governor’s Buffalo Billion revitalization initiative. While the City of Buffalo Planning Board approved the site plan for Phase I of the overall project, it also completed its required environmental review for the entire redevelopment plan, which identifies the properties along the corridor that will be stabilized, renovated, remediated, redeveloped and/or, in some cases, undergo select demolition for the purpose of returning the area to productive use, assist in the revitalization of the surrounding neighborhood and provide employment opportunities for nearby residents by creating a new manufacturing and employment hub on Buffalo’s East Side. The project envisions a fully redeveloped Northland corridor, ultimately with a total of approximately 750,000 square feet of light industrial and commercial/general office space. View both the Northland Corridor Redevelopment Area Full Redevelopment Plan and the Western New York Workforce Training Center site plans here under Quick Links. The project is anticipated to advance in multiple phases. Phase I will include the development of the Workforce Training Center and renovation/repairs to the existing structures at 683 Northland Avenue for multitenant use. The succeeding phases, which BUDC will have to return to the Planning Board for additional site plan approvals when required, will include stabilization, select demolition/renovation, new development, and/or site improvements for the remainder of the properties comprising the Northland Corridor.